No advertising copywriting field demands so much from writers than direct response copywriting. They win or loose based on one thing -- performance. So how do successful direct marketing copywriters approach their craft? What separates them from the rest of the field? I've always expressed the difference in a single line. "Successful direct response copywriters are really great salesmen in disguise." But let's listen to one of the greats in direct response copywriting field answer the questions we all would like to know. This post represents an extensive interview with Dean Rieck that is well worth the read. To set the stage, here's a little about Dean that establishes his credibility as one of the best in the business. Dean's name has appeared in Who's Who in Direct Marketing Creative Services, Outstanding Writers of the 20th Century, Outstanding Intellectuals of the 20th Century, Who's Who in the Media and Communications, Strathmore's Who's Who, Who's Who in the Midwest, Who's Who in America, and Who's Who in the World. American Writers & Artists even named Dean their "Copywriting Genius" in August 2007. 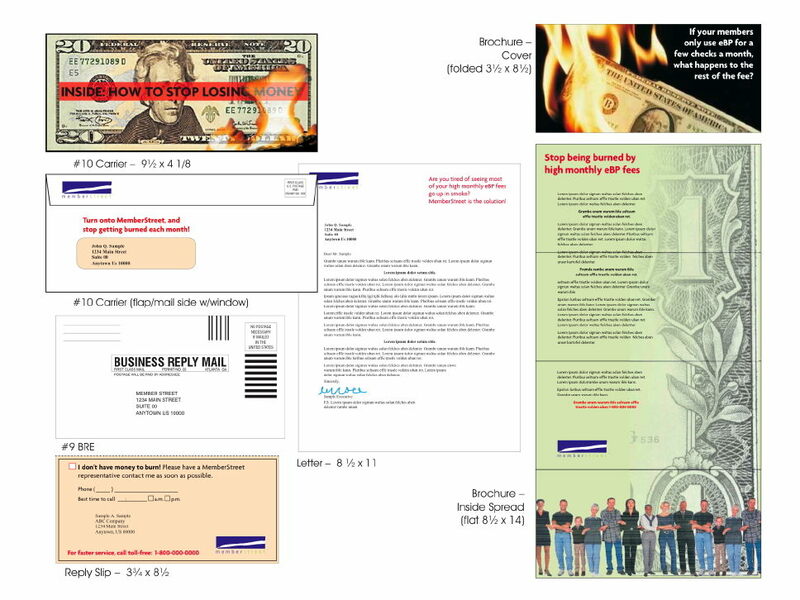 Ted: How do you approach the task of beating a direct mail control for your clients? Dean: I developed a 7-step control-beating process many years ago. It's based on research in the areas of creativity and problem solving. The most important part of this process is deciding whether the control is excellent, good, or bad. This determines whether I'll brainstorm a completely different concept, try to build on the current concept, or throw out everything and go back to basics. Some people like to just take a shot and see what happens. But I prefer to work methodically. Ted: What do most direct response writers miss when looking at this type of assignment? Dean: Research and analysis. It's my impression that a lot of copywriters consider themselves “writers.” The moment they get off the phone with the client, they start writing. But I consider myself a salesman, so writing is merely a means to an end. I must noodle the facts and data before I start writing. It's like taking a road trip. I have to determine my destination and map out the best route before I put my foot to the accelerator. Ted: What separates the writers who routinely beat controls from the rest of the pack? Dean: Partly raw talent. Partly experience. Partly the ability to distinguish between what matters and what doesn't in a given situation. Some copywriters learn a bunch of techniques, but don't know when to use them and when not to. I suppose it's like anything else. You have some people who “get it” and some who don't. Ted: What process would you advise clients to use when selecting freelance writers for such a task? Dean: You can look at samples, get reference, and all the usual stuff. But the most important thing is to become familiar with how a copywriter thinks. Good copywriters ask a lot of questions. They don't suggest solutions before they understand the problem. They give you alternate ideas that may be better than what you had in mind. And don't forget, a brilliant copywriter who's a diva probably won't be worth the hassle. Always do a gut check before you start writing checks. Ted: How do you determine what format to use? Dean: From experience, I usually have a pretty good idea of what format I'd like early on. But while it's nice when I can determine the format, in the real world clients sometimes determine that for me because of budget or their own experience. Really, things are often done “bassackwards.” People want to know cost before starting work, so you have to choose a format before you do a lot of research. But ideally, you would do research and only then determine the proper format. There are always certain compromises in business. Ted: What, in your opinion, represents the most important element in a direct mail package? Dean: Most people would say the letter or the order form. But I think it's the outer envelope. Because even though it's one of the easiest elements of a package to write and design, it's the element that recipients see first. The impression the OE makes determines whether the recipient opens the package or throws it in the trash. That's one reason the snap pack works so well, which is one of your favorites, Ted. That outer envelope looks important and is nearly impossible to ignore. Ted: What do you do to prepare yourself before putting ink on paper? Dean: Research. I spend from 25% to 50% of a direct mail project looking at past mailings, studying results, reading product literature, talking to key people, analyzing the competition, etc. There are a few copywriters who prefer not to see anything so they can work with a completely open mind, but I prefer a more tactical approach. I find that if I do enough research, my headlines and copy seem to write themselves. Ted: What client input do you need to create that winning package? Dean: I like it when clients provide a project brief that outlines the goals and specifications for a project. I also ask for a “kick off” meeting where we can work through details on the product, prospects, and the project itself. What is the offer? What legal language must be included? What has worked or not worked in the past? What objections do people have about this product? Etc. Over the years, I found myself asking the same questions so often, I created a questionnaire to gather basic information. Ted: How do you select and work with your art directors? Dean: I do a certain amount of design myself. And I have a team of designers I've been working with for years. I had to go through a lot of people before I found people I could count on – who followed my directions but also brought creative and relevant ideas to the table. It's mostly a trial and error process. If I have ongoing work for a client, I like to use the same designer for each project because the work becomes easier as the designer learns what the client wants. Plus, if I want to know what a designer is capable of, all I have to do is ask to see one print ad or direct mail package. I can see instantly if they know what they're doing. Either the design is direct or it's not. Ted: Do you provide the art director with a copywriter's rough layout? Dean: When I'm working with an outside designer, yes I often will provide a rough sketch. Nothing fancy. I take a plain sheet of white paper and draw each piece with key elements in place. I avoid too much detail, because I want the designer to have the freedom to bring his or her own expertise to the job. But really, I do this even if I'm handling design myself. I think visually about copy so I need to know how words will lay out. Copy and design are the same thing to me – two sides of the same coin. Ted: When you start writing, what element do you develop first? Dean: Usually I start with the core headline, which generally becomes either an envelope teaser or the headline on the letter. I have to know where I'm going with the envelope and letter before I can do anything else. You can't predict how people will move through a package, but I generally try to map out a path that goes from the OE to the letter to the brochure to enclosures to the reply piece. But I also make each independent enough so that the prospect can start anywhere. Ted: If there is such a thing as an average package, how long does it take you to write it? Dean: That's a difficult question. The package architecture depends on several factors, including the budget, the list, how easy it is to understand the product or service, the offer / price, and so on. It also depends on whether it's a “sell” package or a “lead” package. Lead packages tend to be smaller and less detailed because you're usually offering information, a sample, or some other freebie. A sell package is highly variable. As for time, the answer is the same: it depends. Generally I ask for at least two weeks for any project. If I'm doing a big “Rodale” type package, I'd want four or more weeks to deliver the first draft. Keep in mind I always have to juggle multiple projects, so I don't work for weeks on just one thing. The time I need is more a matter of scheduling realities that writing time. Ted: How do you determine your pricing? Dean: Like anyone else, I try to find out what others at my level are charging and use that as a starting point. But you also have to factor in the type of business, the actual work involved, and your level of expertise. I have a price range sheet that I've developed over many years and use that as a reference. After a while, you develop a sixth sense for how much a project is worth. Ted: What is your position on charging royalties for your work? Dean: Generally, I work on a flat fee basis. But with some clients, I will accept a fee + royalty arrangement. However, I only do this if the client is well established and has references for this sort of deal. Too often startups want a royalty or contingency deal that offers more risk than reward. And I never, ever work on spec. Ted: Is there anything else you would like to add? Dean: One thing I've observed is that many clients give you one shot to beat a control. You're a genius if you win, an idiot if you lose. In most cases, I think this is an inefficient way to work with copywriters. Some of the best work I've done is with long-term clients who give me the leeway to try different ideas and fail occasionally. I've had projects where I thought the best way to beat the control was to make a small change, but I couldn't because the client wanted an all new package. It's like evaluating a baseball player by giving them one swing of the bat. Ted: Thanks for the interview Dean. As always, you bring new learning in every discussion we have just as you do in your really great blog. Posted on April 10, 2009 by Ted Grigg and filed under Direct Response Creative.